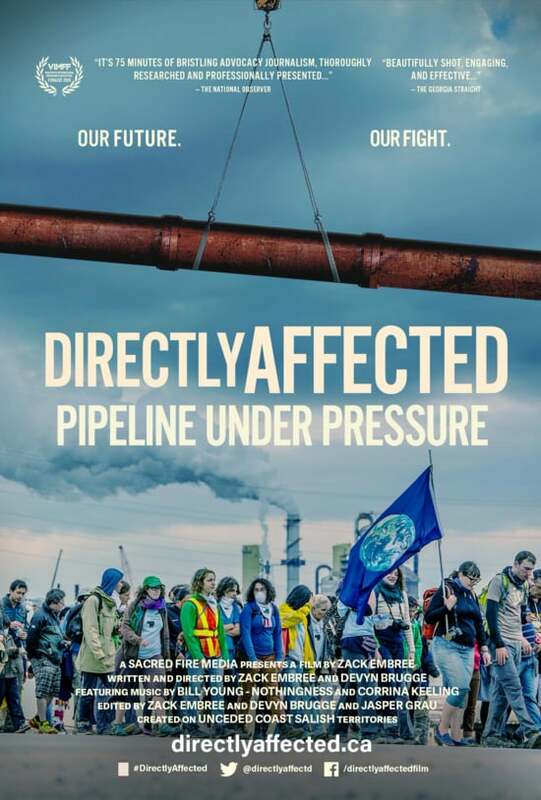 Join us for the KW premiere of Directly Affected: A Pipeline under Pressure, a film that details the known risks posed by the expansion of Kinder Morgan's Trans Mountain pipeline--risks to people and our planet. Following the film, Rev. Rosalyn Kantaht'nta Elm who is Oneida and an Anglican priest will join Chief Myeengun Henry (Chippewas of the Thames) and Dr. Angela Carter (BSIA Fellow and Assistant Professor in the Department of Political Science at UW) to reflect on the film and lead a discussion about the Canadian government's buyout of Kinder Morgan's pipeline and tanker project. Members of Parliament from Kitchener and Waterloo have been invited to attend the town-hall and participate in the discussion. Join us for an engaging film, great food and an important conversation! Door open at 5:30 p.m.